Sri Venkateshwar International School, Sector-18, organized its Annual Inter-School Fiesta Face to Face @ Sri VIS on 8th & 9th August, 2011. The event saw 600 students from 27 schools across NCR competing in the two different championships of the event viz ‘Athkheliyan’ (for Classes Pre-School to V) and ‘Techies and Gizmos’ (for Classes VI to X). The Overall Championship Trophy of Face to Face @ Sri VIS was won by Venkateshwar International School, Sector-10 with 263 points. The host school in all the events had an overall aggregate of 267 points. The talent of the young ones came to the fore with events like Fold Mould, Global Groove, Story Retold, Hatter’s Parade, Culinary Delight, Check me out and Sur Sangam for ‘Athkheliyan’ Championship Trophy. 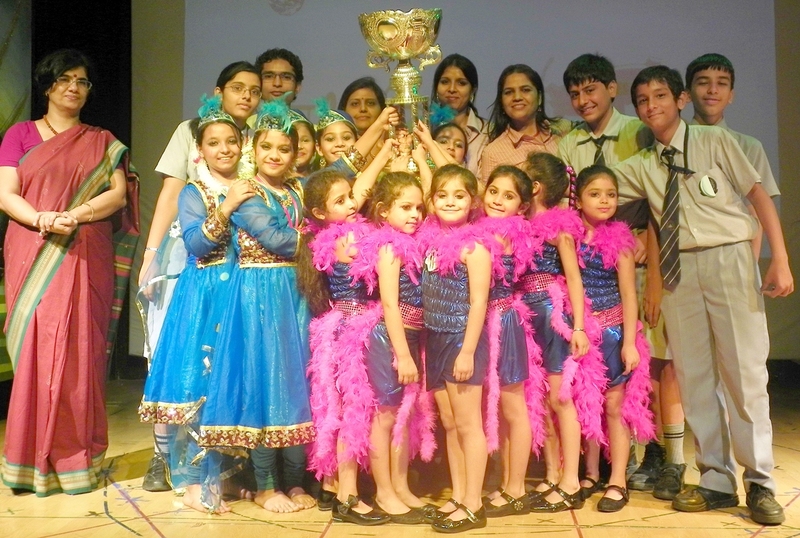 The Championship trophy in this segment was bagged by Venkateshwar International School, Sector -10. The First Runner Up being the host school, whose participation was non-competitive in all the events. The IT skills and the scientific acumen of the senior students shone bright in the second category of the event i.e. ‘Techies & Gizmos’ with events like M-Gizmos, Sci-Techies, Bio-Logicals and Cyberians providing the platform. The school that walked away with the Championship Trophy in this segment was Basava International School with 93 points. The host school entry being non-competitive did not make them eligible for the Rolling Trophy for ‘Techies & Gizmos’, in spite of them bagging 100 aggregate points in the four events of the same. The two days gala event concluded with congratulatory and motivating words from the School Principal Ms. Nita Arora and the distinguished panel of judges who were eminent personalities from different walks of life.